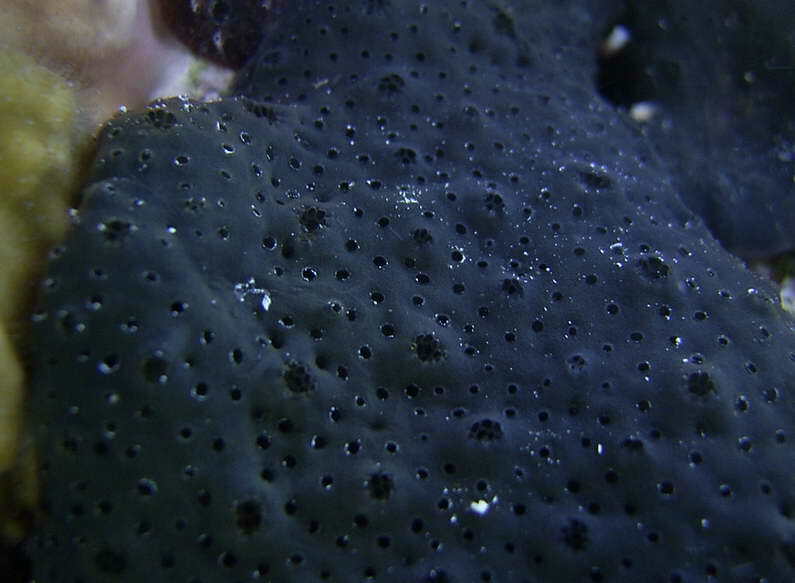 Sponges come in many colors. They sift plankton (very small plants and animals that drift in the ocean) out of the water. They do this by means of a wriggling whip that in moving in a snake-like fashion creates a current. The current causes water to flow in and out of a chamber. The chamber is lined with mucus so dissolved organic matter, diatoms and other plankton get in it. 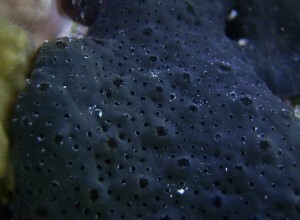 The out-flowing water is channeled together and flows out of the larger holes you see on a sponge. The intake holes are too small to see with the naked eye. We sprinkle sand over the exhaust hole and watch it blow away to demonstrate this flow of water.